*A light snack is served at 5:30 p.m. Talk begins promptly at 6:00 p.m. 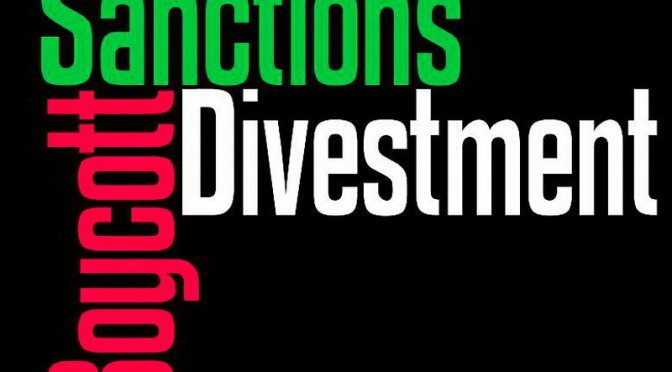 Boycott, Divestment, and Sanctions (BDS) is a global grassroots movement that was initiated by Palestinian civil society in 2005. It calls for the academic, consumer, and cultural boycott of Israeli institutions, companies, goods, and services as a means to draw public attention to the facts of Israeli oppression and military occupation of Palestinian lives and land. Ultimately, it aims to pressure Israel to comply with international law regarding ending the military occupation of Palestinian territories, providing equitable treatment to Palestinian citizens of Israel, and honoring the Palestinians’ right of return. There have been notable successes and a few setbacks as the BDS movement continues to grow. This panel seeks to examine the current context of and challenges faced by the BDS movement with analysis provided by Omar Shakir from the Center for Constitutional Rights and Rahul Saksena from Palestine Legal. Shakir will focus on the historical, comparative, and theoretical context of BDS, addressing how and why the movement developed, how other movements have deployed it to challenge institutional discrimination, and why it is such a powerful tool. Saksena will cover past and current legislative efforts to suppress and punish BDS activism in the United States. He will give an overview with a legal/constitutional analysis of the kinds of anti-BDS legislative initiatives that have been introduced, and will provide examples of organizing and advocacy efforts aimed at defeating the anti-BDS bills. Omar Shakir is a Bertha Fellow at the Center for Constitutional Rights (CCR), where his work includes representation of Guantanamo detainees, Muslim community members affected by NYPD surveillance, and Professor Steven Salaita in his civil rights lawsuit against the University of Illinois. He has researched and co-authored “The Palestine Exception to Free Speech,” a 2015 CCR-Palestine Legal report; “All According to Plan,” a 2014 Human Rights Watch report focused on the Rab’a massacre in Egypt, one of the world’s largest ever killings of demonstrators in a single day; and “Living Under Drones,” a 2012 Stanford-NYU Law report. A former Fulbright Scholar in Syria, Shakir holds a JD from Stanford Law School, an MA in Arab Studies from Georgetown University’s School of Foreign Service, and a BA in International Relations from Stanford. Rahul Saksena is a Staff Attorney with Palestine Legal, a nonprofit dedicated to protecting the civil and constitutional rights of people in the United States who speak out for Palestinian freedom. His work focuses on legislative issues, advocacy for activists whose rights are under attack, and building Palestine Legal’s network of legal and other advocates. Previously, Saksena was the Legislative Director for a member of the New York City Council, where he focused on police accountability and tenants’ and workers’ rights. He has served as Policy Director for the Restaurant Opportunities Center of New York and as Legislative Counsel for the New York Civil Liberties Union. He holds a JD from the Washington College of Law at American University and a BA in Political Science and History from the University of Michigan.